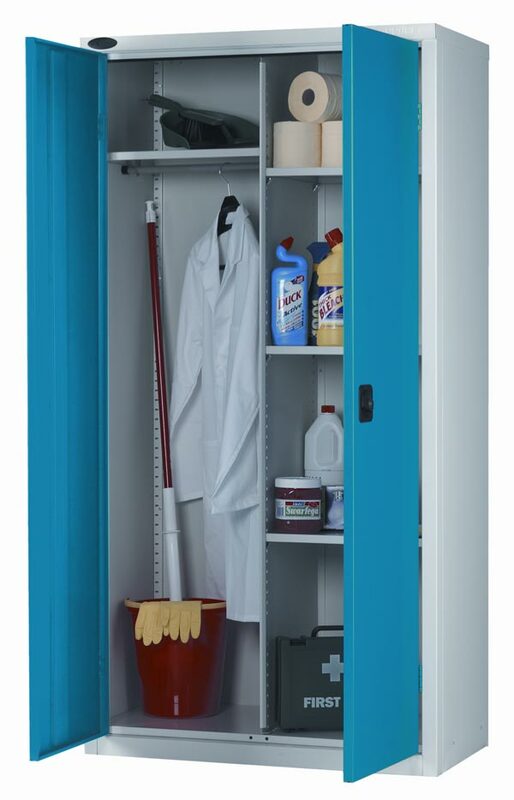 Industrial Cupboard/Wardrobe with 3 Adjustable Shelves plus a Shelf with underside hanging. 85kg UDL. 1780 high x 915mm x 460mm deep. Cupboard lock option only.